Yesterday, Fabletics opened its first retail store at The Village at Westfield Topanga. You know the ads for active wear that feature Kate Hudson every time you open your email? This is them. The store will carry both Fabletics and FL2 – their new high-performance men’s line. Think: cute, durable workout wear. Much more affordable than Lululemon! The Grand Opening is tomorrow, Saturday, September 19th from 11am – 4pm. Stop by – check out the line, enjoy some light refreshments, acro yoga performances, and 20% off any purchase. I hear there will even be gift bags for shoppers who make a purchase. I notice a lot of my fellow hikers sporting Lululemon on the trails, but I’m partial to Lucy. If you aren’t familiar with the brand, check it out. Their pants are wicked durable – I’m constantly amazed at how many years of workouts and washings they live through. No joke! Plus, Lucy always has great sales. 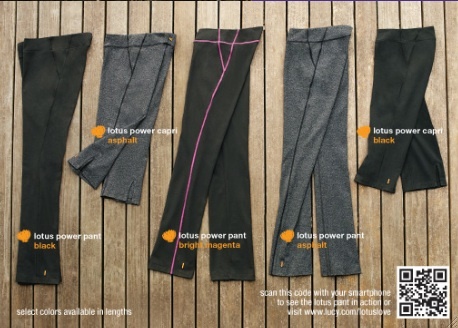 So if you aren’t ready to invest in an $80 pair of capris, go peruse the Sale racks… or the Sale tab!